I can’t always easily decide on one particular muscle group to train. Sometimes my mood calls for a broad span of movements, sort of a way to tie up the loose ends from my week, if you will! 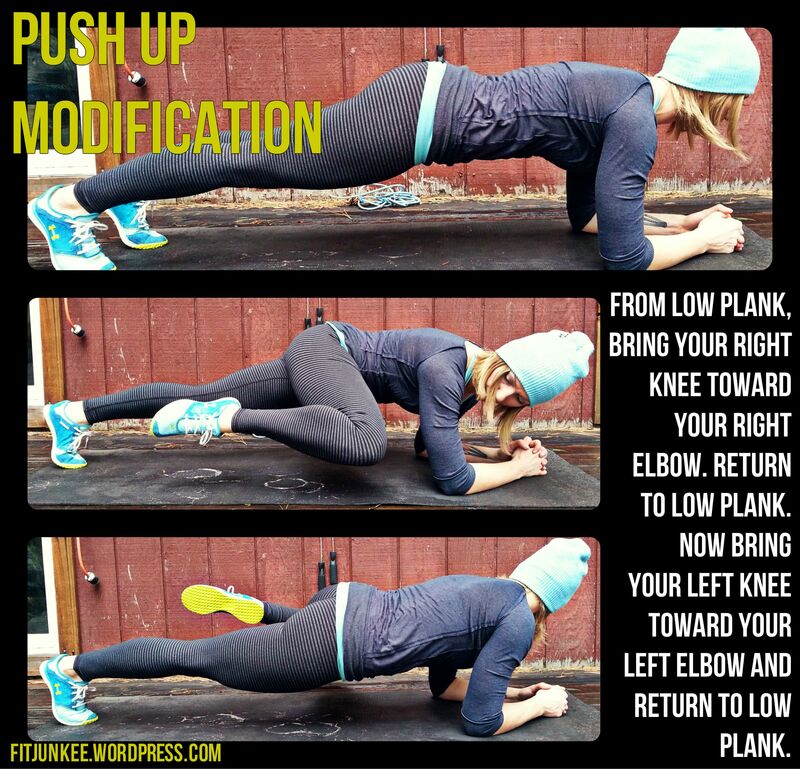 This upper body circuit will work a little bit of everything: shoulders, chest, triceps, back, abs, and biceps. I hope you enjoy these moves as much as I did! Push hard,challenge yourself, mind your form, and as always, have fun. This sauce is bright and tangy, colorful and simply delicious. It is divine on flatbread pizzas, toast, eggs, chicken, rice and more. Whip up a batch and try it for yourself! Check out my recipe for Veggie Flatbread Pizzas using this delicious pesto sauce. Combine all ingredients in the blender or food processor, and blend until smooth and creamy. You may want to add up to 1/4 cup water as you are blending until you achieve the desired consistency. Recipe makes 16 servings. One serving is a tablespoon. Last week I was craving a delicious filet, so I grabbed a couple small medallions from the local organic butcher. 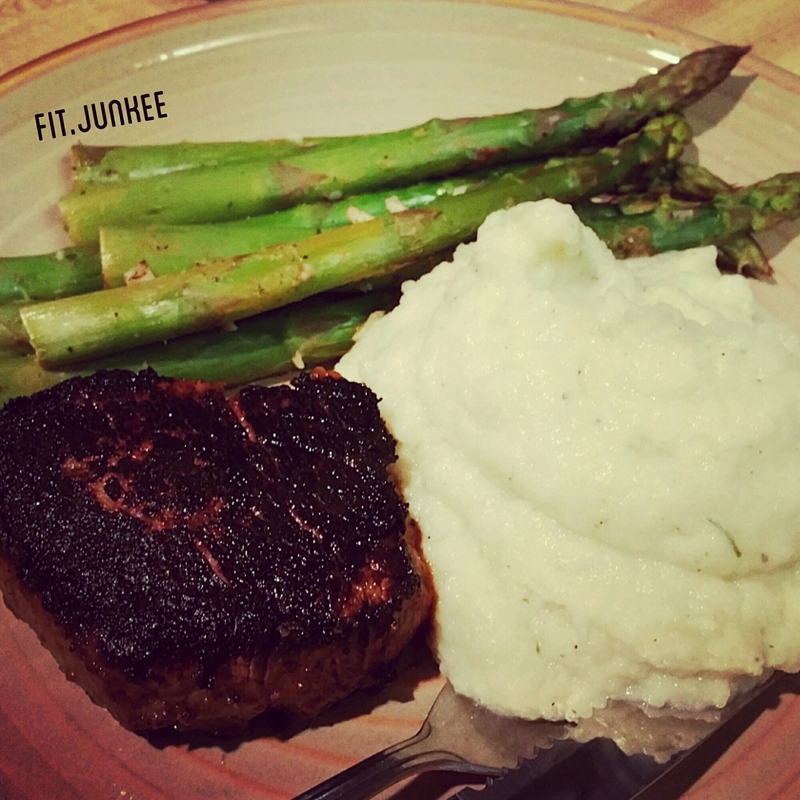 Once seared in a roasted garlic sauce, served along with asparagus and home made cauliflower mash, the results did not disappoint! The steak was so tender and flavorful, and the cauliflower was easy to whip up, and BOMB! It tasted just like mashed potatoes and was every bit as satisfying. This cauliflower mash was indeed, the best damn cauliflower mash I had ever had! Try it for yourself, cheers! Start by trimming the stem and leaves from the cauliflower, and cutting it into large pieces. Place florets into a large pan with 3 inches of water, cover and bring to a boil. Steam with the lid on approx 12 mins, or until florets become tender. Once cooked, transfer cauliflower to the blender or food processor. Add cheese, chives, and seasonings. Blend until smooth. You may have to transfer the cauliflower in batches, depending on the size of your blender. I found that my VitaMix fits everything for this recipe in one batch! This recipe makes 4 servings. *These macros will vary slightly depending on the size of your cauliflower. Tonight’s dinner was simply amazing. I fixed up a grass fed organic filet, asparagus, and the best damn cauliflower mash in the world. Meals like this make me such a happy camper! Today’s workout is going to challenge mainly the core muscles (abs, obliques, stabilizers, and even low back.) I’ve also sprinkled in a little bit of glute work. 🙂 Working muscles in the lower body substantially improves metabolism, burns more fat, and coincidentally, is a great way to also train your ABS. 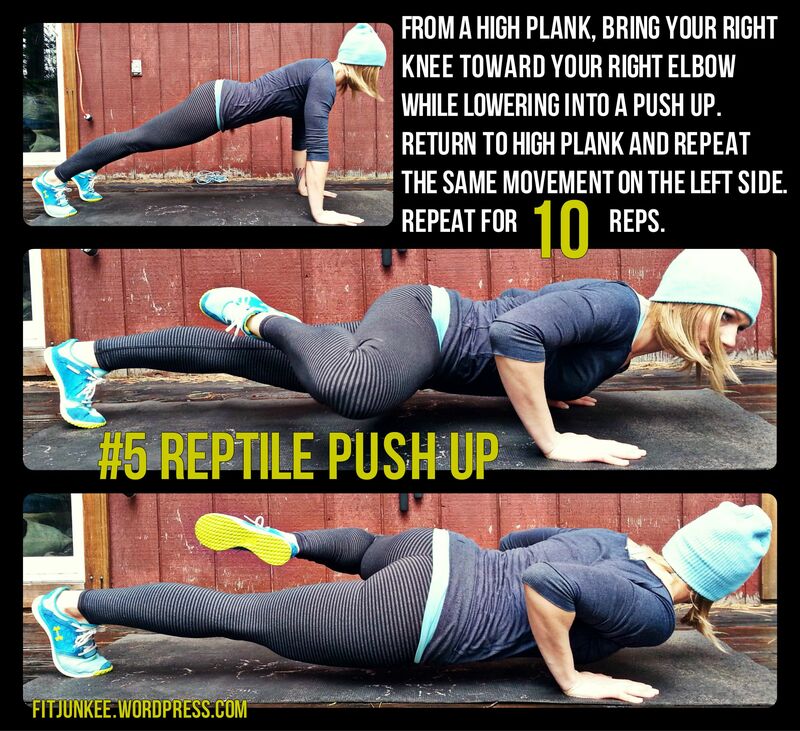 This workout is meant to be repeated 2-5 times depending on your ability level. Enjoy! Today’s workout is an incredibly effective, yet short approach to full body fat burning/toning/shredding. 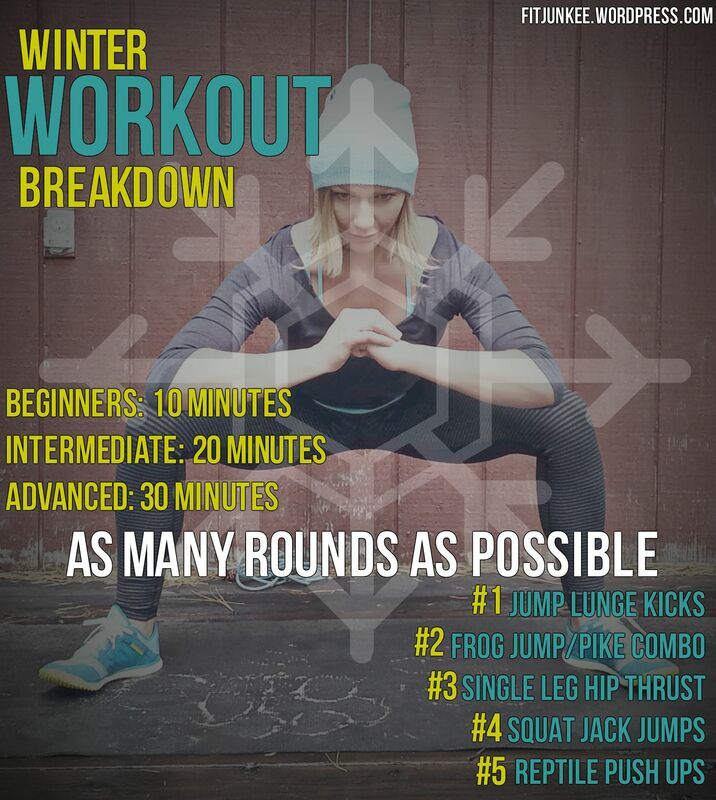 This workout is for everyone – there is no equipment needed, and you can do this workout in a small space virtually anywhere. Don’t ever use the excuse that you don’t have time to workout, because in under 30 minutes, you can get a KILLER sweat on, burn fat, and build muscle. 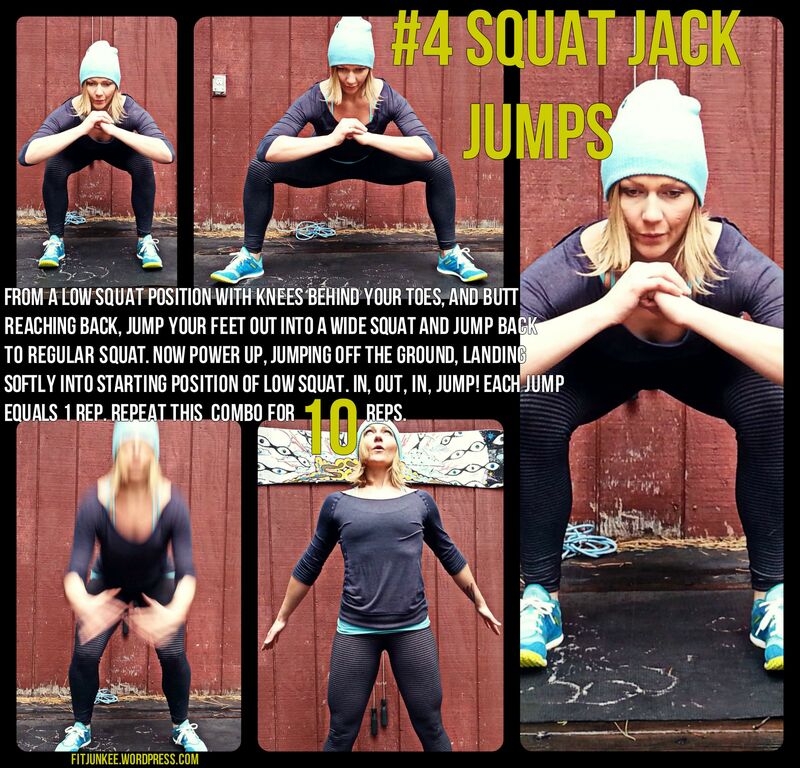 This workout was featured in The Tahoe Journal. Click HERE to see the full article! Have fun, and push yourself hard. The idea is to get as many rounds completed as possible during the allotted time frame. Beginners start with 10 minutes, intermediate 20 minutes, and advanced go for the full 30 minutes.